We asked the candidates running to be Madison’s mayor the same five questions to understand their vision for the future of Madison. The answers we received show differences in scope, detail, and logic for where the candidates think Madison is, and where the city is going. 1.) How do you plan to address Madison’s affordable housing and housing instability issues while meeting the city’s growth needs? 2.) How does your campaign plan to protect and develop Madison’s neighborhoods? 3.) How does your candidacy address racial justice in Madison to ensure equality and growth across all communities? 4.) Madison and its neighbors have obviously been hit hard by flooding and extreme weather over the past year. How does your campaign address climate change and sustainability? 5.) How does fiscal responsibility factor into your plans for Madison? The side-by-side comparison below highlights the answers of Mayor Paul Soglin and his challenger, Satya Rhodes-Conway, on some of the hot-button issues the city is facing. 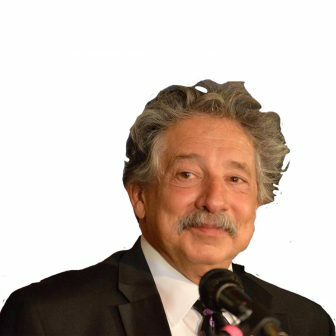 Paul Soglin is currently in his third stint as mayor of the City of Madison. He has served in the role since he was elected for a third time in 2011. Satya Rhodes-Conway is a former alder. 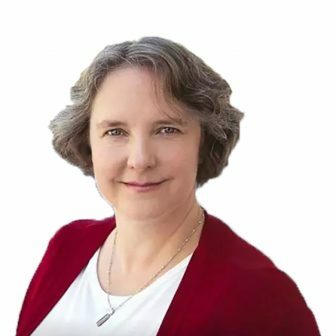 She represented Madison’s 12th district on Madison’s Common Council for six years. Rhodes-Conway wants to continue reducing emissions from City facilities and operations and extend those efforts to the rest of the city. “It’s government’s job to make it easier for regular folks to do the right thing with respect to sustainability,” Rhodes-Conway said. “We have to make it easier to take transit, … for folks to make their homes more energy-efficient and install or use renewable energy. For example, Rhodes-Conway wants to start managing stormwater where it falls by planting more vegetation and using pervious pavement that lets water seep into the ground instead of trying to funnel rainwater into Madison’s lakes. I have used innovation to create jobs, such as the use of tax incremental financing (TIF) to support Exact Science with requirements for training and employment. We are making progress but we have more work to do. “One of the things that I really want to focus on as mayor is better and more culturally competent community engagement so that we are hearing from Madison’s diverse communities,” Rhodes-Conway said. “I also want to focus on economic development, particularly for communities of color,” allowing people “to start and grow businesses. “Under my leadership we have added neighborhood centers in the Meadowood and Theresa Terrace neighborhoods; we are opening an employment center near Elver Park and we are moving to replace the Bridge-Lakepoint-Waunona neighborhood center on the South Side. Rhodes-Conway believes the city needs to manage property tax and borrowing levels responsibly. Madison seeks to limit late entry to more Downtown bars, Chris Rickert, Wisconsin State Journal, April 21. Census: Dane County leads state in population growth; more than double any other county in Wisconsin, Chris Hubbuch, WSJ, April 18.
a presentation subsequent week, and I’m on the search for such info.